Since Vilner introduced dragon scale pleats in 2012, only a handful of auto trimmers have successfully replicated the intricate, time-consuming design. Waldemar Gottfried of Gottfried Upholstery in Saskatchewan, Canada, stands out among them for not only mastering the stitch work, but enhancing it with 3D flare. 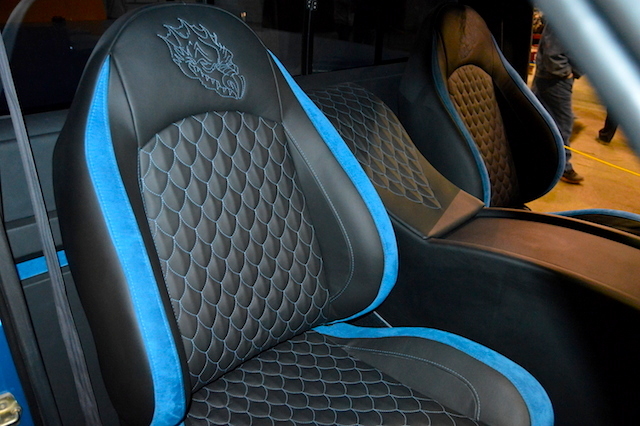 Waldemar was given free rein to design a custom interior for a 1996 Dodge Ram. Wanting to honor the memory of his deceased daughter, the owner only asked that the interior be designed with a dragon theme, a tribute to the collection of mythical figurines she kept. 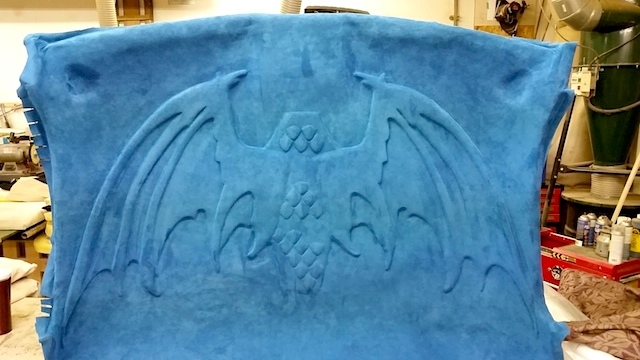 To do so, Waldemar embossed a full body dragon on the truck’s headliner and wrapped it in blue suede. 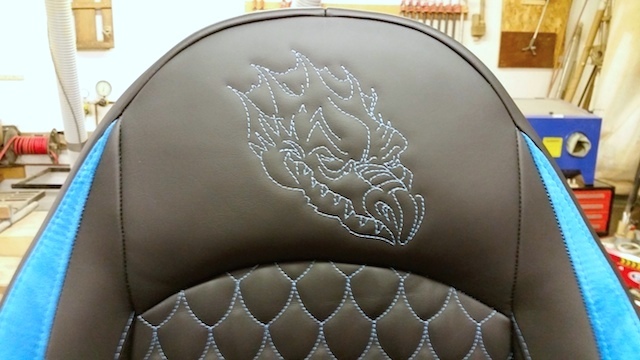 He also stitched two dragon heads on the vehicle’s sport bucket seats. 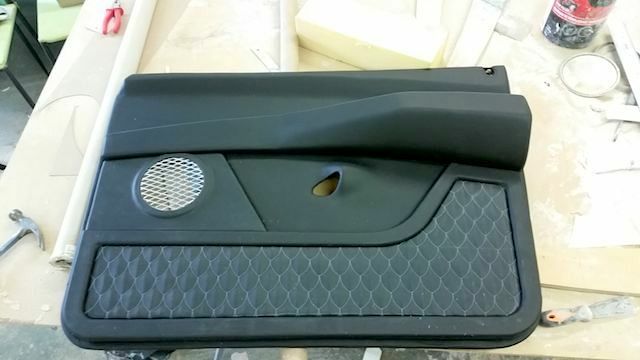 It’s seats, center console and door panels all feature dragon scale pleats. No doubt, the truck’s dragon-themed interior is a head turner. However, as a trimmer, what stood out the most to me was the way in which Waldemar brought the scale pleats to life. Under each individual scale, Waldemar glued a triangular prism cut from high-density landau foam to give the design a 3D look and feel. While the detail added a lot more time to an already time-consuming project, Waldemar said he was able to streamline the process by making all of the scales the same size. 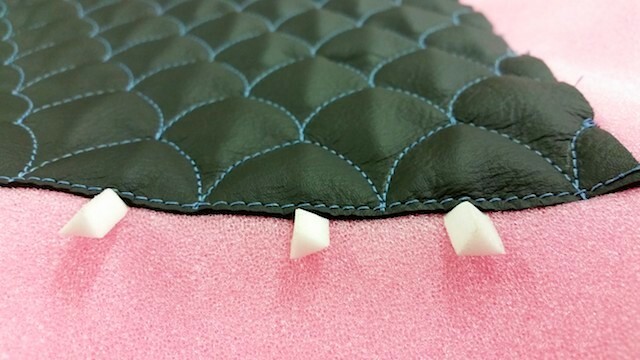 So – unlike Vilner, which sewed scales of various sizes – he was able to sew the scales in continuous horizontal rows. 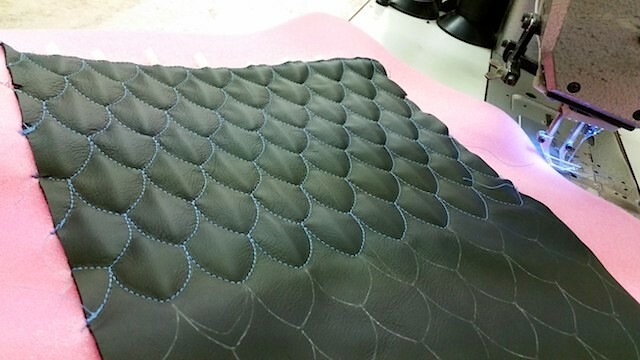 According to Waldemar, a lot of thought went into designing the dragon scale pleats the way he did. The end result is nothing short of outstanding. 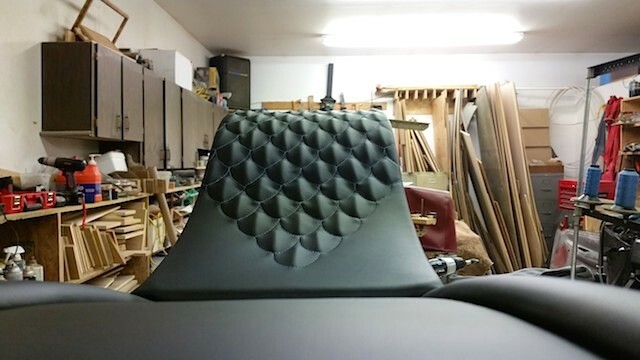 Our hats off to Waldemar and Gottfried Upholstery for all of the skill, patience and hard work that went into crafting this one-off interior. To see more work by Gottfried Upholstery, check out their Facebook page. Also browse the “Unique Pleats” section of The Hog Ring. That’s taking pleats design time scales to a whole new level!,excuse the pun lol. Lovely job and well thought out. one word , stunning !! Do you sell these if so for how much because these are amazing. When i buy sponge _-^-_ 🙂 ? 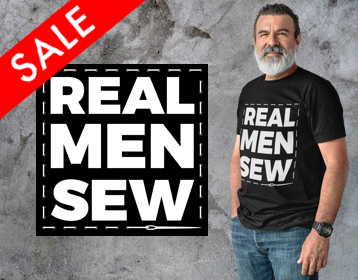 Can I buy material with this stitch?